Do you have the right attitude for success? According to Harry F. Banks your attitude or the way you think significantly contributes to your success. I love Harry's quote. It puts "positive thinking" in a simple and easy to understand way. It makes me conciser and question the thoughts that appear in my head each and every day. How can I be successful if I do not believe in myself or if I tell myself it is not possible? Do you ever stop to think about your attitude? If you tell yourself that learning English is hard, learning English takes too much time or that you don't speak English well, you will probably make those statements come true (even if you don't want to). I'm not saying that learning English is easy but I am saying your beliefs about learning English will either encourage you or hold you back. What we believe to be true can directly influence the way we interact with others, how we react to situations and how much happiness and joy we feel. It can also make learning English harder than it has to be. 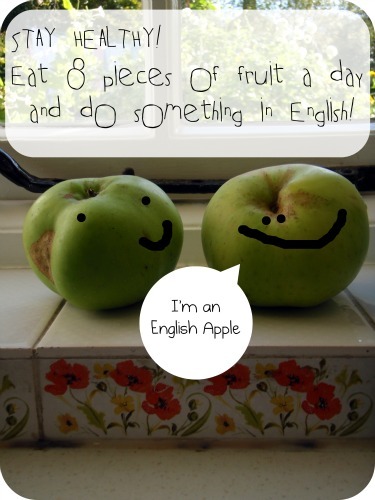 Think about it...who says learning English has to be boring or painful. You can watch movies, listen to interesting pod-casts, speak with native speakers, travel and read magazines. The key is to have an attitude for success and do actives that you enjoy doing, apart from learning English. I mean, would you listen to podcasts or watch videos about business meetings in your native language? If the answer is no, then I would suggest finding a subject that is interesting for you so that you can listen to it on a regular basis for the rest of your life. Learning English is not a sprint to the finish, but rather a relaxing walk through the park. Stop and enjoy the process. Tina has a great attitude. She looks at how she creates her own experience with her mind and her thoughts and she consciously works to control or change her thoughts for the better. Tina would probably agree with Harry F. Banks. Share your interpretations of Harry F. Banks' Quote Below! Now that you have heard our interpretations of the quote and what it means...I am curious to know what you think. Do you agree with my interpretation or do you see it as saying something totally different? Express and share your thoughts below and see what other visitors like you have said. Are your looking for a way to learn English and stay motivated over time? Sign-up for my free 7 week study guide. You receive a study guide in your email inbox -once a week- for 7 weeks that will help keep you focused on learning. Each study guide contains useful materials, study tips, quotes and much more! Just sign up using the form below with your name and email address. Don't worry I only use your information to send you the 7 weeks of study guides. Free Study Guides via Email! Use your attitude for success to explore the rest of this website. Start on the homepage by clicking here.